With jobs, kids and other responsibilities to balance, it’s more important than ever to plan and follow a family budget. Whether your goal is to reduce debt or buy a new car, the heads of your household will benefit from these tips for creating and tracking a joint budget. 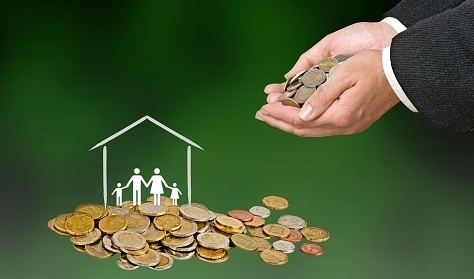 Why do you Need a Family Budget? When creating a financial plan, your family needs a system to understand its income and expenses. 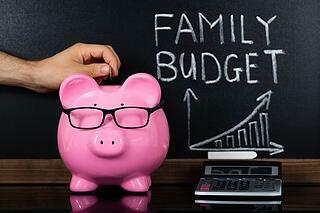 By developing a family budget, you will learn more about your own saving and spending habits. Then, you can set common goals to achieve greater financial stability. A budgeting system is a rough roadmap you can follow each month to avoid living too far above or below your means. Since you will be working together, it’s important to create a budgeting system both spouses are comfortable with. Whether you choose to keep records on paper or on the computer, you will receive the best results if you regularly enter your financial information. Next, you will need to gather pertinent documents, such as receipts and pay stubs. Once you have all your financial information together, set up a ledger, spreadsheet or budgeting software. Or, you could try this Family Budget Calculator created by the Economic Policy Institute. If you create and adhere to a realistic budget together, it could free up cash for a major purchase, like a new dishwasher. Before you start tracking income and expenses, review your family’s financial situation, including your mortgage, children’s college fund and retirement contributions. As you examine your finances, look for patterns in your spending and saving habits. This could provide insight about how to cut back or rearrange financial priorities. Once you have created and tracked your first family budget, your work is not over. In order to remain financially stable through retirement, you must continually revisit this process each month. While balancing your household’s budget may be a chore, the peace of mind it gives your family could be priceless.